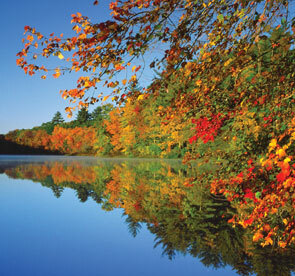 Treat yourself to the spectacle of autumn in North America when Nature’s artistry is on display with an ultra-luxury cruise between New York and Montreal. Sail along the Canadian Maritimes and through the St. Lawrence Seaway, looking for whales along the way. Charlottetown, with its lovely Victorian homes, retains its small town charm, where you can opt for a closer look at the oyster industry and sample some of the harvest. Take in the vibrant energy in Halifax or choose a tour in historic Lunenburg, a UNESCO World Heritage Site for its preservation as a British Colonial settlement. 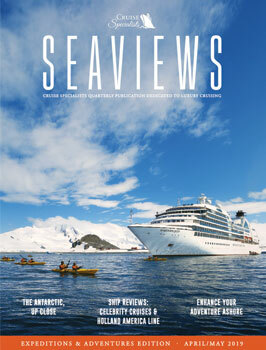 Experience the change of seasons up close onboard Silversea Cruises' intimate ships, going where larger ships cannot. Book and Pay in Full by April 30, 2019, and Save 10% off your Cruise Fare on Select 2019 Voyages! Fares as low as $4,050 and Onboard Host, Festive Cocktail Receptions and Shore Event! Onboard Host, Festive Cocktail Receptions and Shore Event! All fares shown are cruise-only per person in US dollars based on double-occupancy in minimum available suite or higher and reflect Early Booking Bonus. 10% Early Booking Bonus: Offer valid on new, individual bookings made between 1 March 2019 and 30 April 2019 on voyages departing from 1 September 2019 onwards. Guests will receive 10% savings on the Silver Privilege fare for select voyages if full payment is received no later than 30 April, 2019; full payment includes the cruise fare and any outstanding balances on the booking (air, hotels, transfers and land programs). Bookings made before or after the promotional period will not qualify for the savings. Other restrictions apply. Canada - Air Offer: Free Roundtrip Economy Class flights. Promotional Business Class Air is USD $199 per leg or USD 398 roundtrip based on travel from select US and Canada gateways. Promotional Economy/Business Class is offered from select U.S. and Canadian gateways. Promotional air offer is only applicable to specified voyages. Silversea reserves the right to select the air carrier, routing and departure airport from each gateway city. Airline baggage fees are not included. This will be available for booking at an additional charge. In the event Economy/Business Class air is not available (determined at Silversea’s sole discretion) or for guests not utilizing the promotional air offer or for non-US/Canadian guests, a non-use Air credit in the amount of USD $500 per person may be applied. Offer applies to new bookings made between 1 April, 2019 and 31 May, 2019. Bookings made before or after the promotional period will not qualify for the savings. In case of succeeding voyages made by the same customer (combo or multiple bookings) the non-use credit can be only applied once. Many other categories available, please ask for details. Fares based on Silver Privilege Fares. Free WiFi for all guests - every guest will enjoy at least one hour of free WiFi per day and free unlimited WiFi will be available to guests sailing in the Owner's, Grand, Royal, Silver and Medallion suites - call for suite rates. Additional internet packages are available for purchase. WiFi service is not guaranteed. Silversea is not responsible if WiFi service is not available. Hosted amenities are capacity controlled and subject to change or cancellation. We reserve the right to correct errors.